Browse: Home / 2008 / October / This inspired me…. At the outset let me tell you that this is a true story. But it is not being told to raise funds [so ladies and gentlemen, be comfortable and read on….]. You may perhaps ask me why I am telling you this story. This is a story of a young boy fighting against all odds, and it is this kind of tale that inspires me, sets me thinking about it for a long time. It might do the same to you, hence I am penning it. 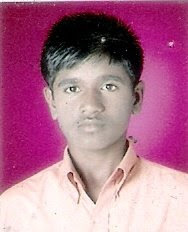 Jayawant Nipurte  is a young boy born in a very poor family. His father earns Rs 24000 per annum [equivalent to US $ 510 pa] from small jobs, locally called ‘Mistry’ or carpentry. Jayawant’s father has three daughters studying in 10th, 8th and 4th standard in local school. They stay in Shahapur Taluka in Thane District [Maharashtra, India]. Jayawant scored good marks at Secondary School Certificate exam, 81.2% under his circumstances show the intelligence and determination of the young man. With some help he enrolled for Diploma in Information Technology at an institute in Mumbra. This year he cleared it with good marks again, scoring 80.75% marks. Diploma Engineering students are allowed to apply to Degree Engineering colleges and if they secure admission, they are placed in second year. So several of his classmates applied for degree colleges for admission. Jayawant wanted to apply for his degree course too, but the hard realities of financial commitments stared in his face. In order to secure admission he would have had to pay Rs. 38,000 for each year, more than one and a half times his father’s annual income. He asked for help. A relative advanced Rs. 5,000. A well wisher advanced Rs. 10,000. His village people collected Rs. 10,000. That made Rs. 25,000, all repayable. It still did not add up to the first year’s fees. Jayawant’s father was moved by the indomitable spirit of the young lad and he sold his buffalo to raise the balance Rs. 13,000. A journalist Subhash Harad of Loksatta, who knew this boy, brought Jayawant’s efforts to the attention of some good Samaritans. They sprung in action and helped him. They helped him with admission in the Hostel as well. So Jayawant will be an IT expert three years later. Good luck to you Jayawant, your story inspired me. May God fulfill all your wishes. Just a couple of hours ago I listened to an acquaintance boast about his new cell phone that does lots of unnecessary stuff (according to me), and how he replaced his year old phone with this one costing 29,000 Rs. I just keep wondering what we are coming to. Its the $21 branded water bottle story all over again. Extremely inspiring ! Such stories need to be told. When i write about Pumpkin Patch selling an outfit for a one year old at Rs.3000/- i get angry ( mildly ) & rebuke that i am out of touch with reality ! Stories like these, reinforce a present day reality ! A reality where the will to make a difference, no matter what permeates ! When there is a will, the way arrives ! An inspiring story indeed, I have no doubt he will succeed in whatever undertaking he attempts. (As they say in Australia Goodonhim!) I’m not from Oz but I have a friend who lives there and you know what they say about getting like the folk you associate with …. Cheers Kate. Jaywant's story is truly inspiring. Against all odds he is able achieve his dream. All the best to him. I visit many schools & educational institutes. I come across many B3s (Bade Bap ke Bete). After reading this story I realized that these B3s have been blessed with everything and still they do not have any dream or ambition in life. A very thought provoking story….sets me thinking if I am doing enough to give some thing back to the society which has given me all that I am today. I am sure many of us feel the same…then why are we not able to take the first step..??? what's stopping us…?? ?